50th & France has transformed into JOYVILLE for the holidays! Now that we've unveiled the tree, it's time to learn a little about the business owners who help make Joyville so joyful! Meet Lisa, the Founder and Owner of Bespoke Hair Artisans. Q: When did your business open? A: I've spent my entire life immersed in the beauty business. It's in my DNA. My Mom has spent over a decade as a hairdresser, the 2nd employee Horst Rechelbacher hired when he founded Aveda. I spent years as a leader at a world-class salon company. I couldn't see myself retiring from an industry I was so passionate about. I had a growing desire to create my own brand. I've always been instilled with the value of hard work, ownership and self-sustainability. Q: Why did you choose 50th & France as home to your business? A: I knew 50th & France is where I wanted to be. Bespoke's ideal client is one who enjoys personalized treatments in an experiential and modern environment that offers a more peaceful pace. Our client has a high appreciation for the best quality, craftsmanship, design and service. 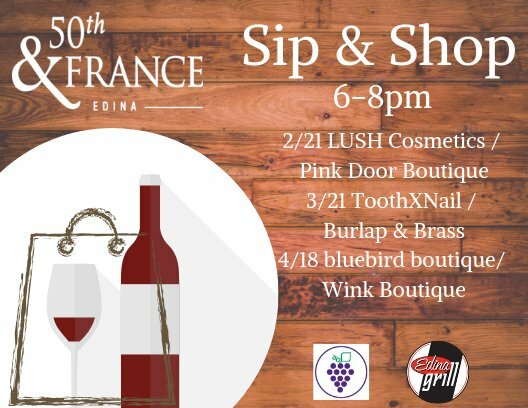 The 50th & France district is composed of local retailers who have strong ties to the community or national retailers who only operate one or two stores within a given market. It's a collaborative neighborhood that shares a vision for offering the same unique experiences our clients seek. Q: What do you love about the district? A: 50th & France really is a neighborhood. It's a place where people live, and it's a place where people are out walking, shopping and enjoying the great restaurants and festivities of the holidays. Q: Anything you’d like to promote? A: Bespoke will be hosting a Make Up Event on December 15th from 10am – 6pm, and several shopping events throughout the month of December. We’ll be customizing the best holiday makeup looks for every occasion!